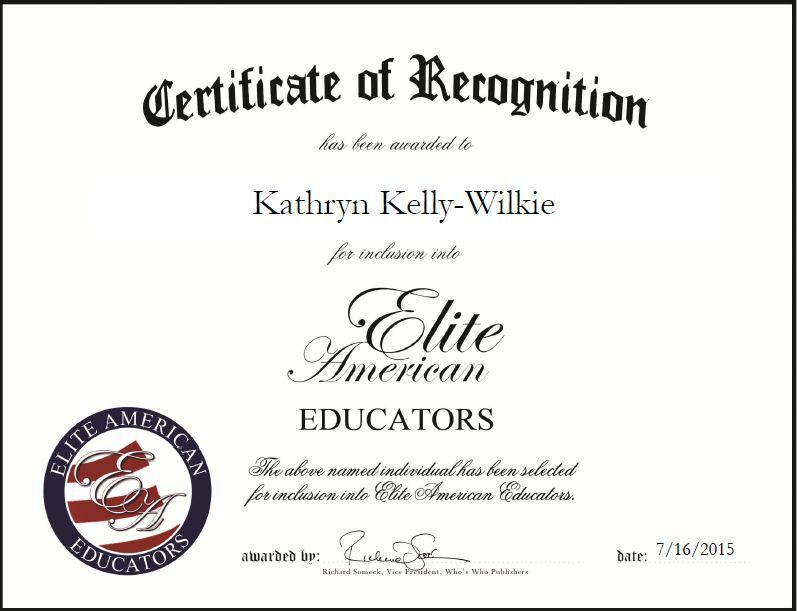 Magnolia, TX, July 16, 2015, Kathryn Kelly-Wilkie, Band Director for Magnolia Junior High, has been recognized by Elite American Educators for dedication, achievement and leadership in music instruction. Music is Ms. Kelly-Wilkie’s first love and passion in life. She could not picture herself doing anything else, and has been involved in her field for many years. She enjoys the interaction with the students, as well as sharing her love of music with them. Known for never accepting less than the students’ very best, Ms. Kelly-Wilkie looks to inspire and push her students to reach their full potential. As the band director, she is responsible for teaching students music and orchestrating the school band, and organizing many school programs. Ms. Kelly-Wilkie takes great pride in her work and attributes her success in the field to her dedication and passion. Moving forward, she would like to double the size of the band. They have doubled the size at this point compared previous years. This entry was posted in Music and tagged band, instruments, junior high, middle school, music instruction. Bookmark the permalink.